I am soooo excited to finally post these pictures. 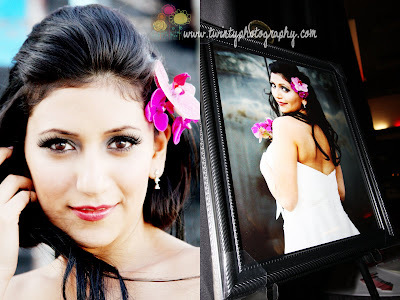 Jennifer was by far my most creative bride to take bridal portraits and man did they turn out great if I say so myself. 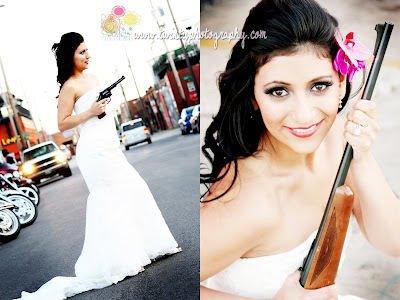 Isn’t a bride with a gun every man’s fantasy…or nightmare? :)haha. I’m very excited about my large prints. 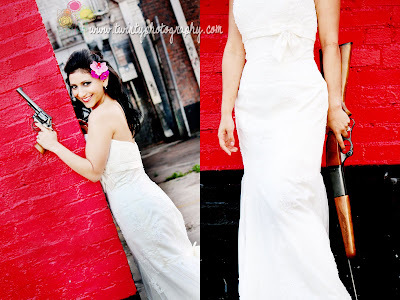 She ordered a 16×20 for the reception and I think it turned out just gorgeous….image on right from reception. This is my favorite picture just because it reminds me of our hometown Midland at the Moon Tower…shout out!